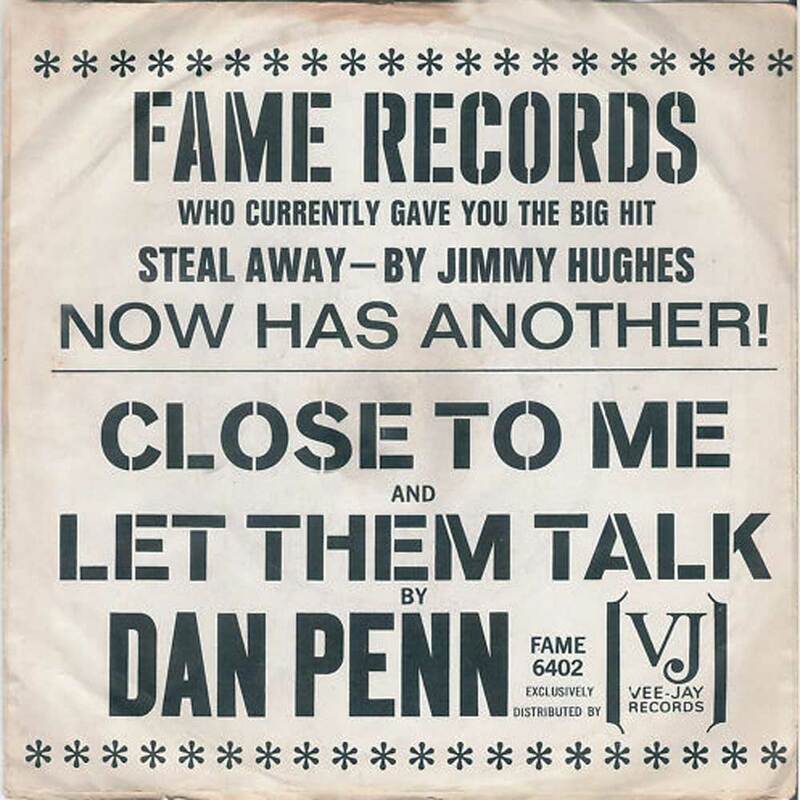 DAN PENN-CLOSE TO ME-MORE FAME RECORDINGS. Wallace Daniel Pennington was born in Vernon, Alabama on the 19th of May 1941. The Pennington family were respectable church going people. They were regarded as pillars of the local community. Each week the Pennington family attended church en masse. However, by the time Wallace Daniel Pennington was a teenager, he had turned his back on the church. By then, the future Dan Penn had discovered R&B, and had dreams of making a career as a R&B singer. Wallace Daniel Pennington became the lead singer of a series of short-lived band, including The Mark V, The Nomads and Pallbearers. During his time with these bands, Wallace’s determination to forge a career as an R&B intensified. Each night, as he took to the stage, he combined power and passion. This would play its part in shaping Wallace’s raspy, lived-in, soulful vocal. It Wallace hoped, would feature on records in the not to distant future. That proved to be the case. By 1960, Dan Penn was spending much of his time in the Quad Cities, Muscle Shoals area. He was also a regular visitor to Rick Hall’s Fame Records. That was where he recorded his first single Crazy Over You in 1960. On its release, Crazy Over You failed commercially. It was a somewhat inauspicious start to Dan Penn’s career as a singer. However, later, in 1960, commercial success came Dan Penn’s way. Although Dan Penn dreamt of becoming a singer, he was also a songwriter. One of the songs the nineteen year old had written was Is a Blue Bird Blue? It was recorded by country singer Conway Twitty later in 1960. When it was released, it reached number thirty-five in the US Billboard 200 and number twenty in the Australian charts. For Dann Penn this was the start of a long and successful career as a songwriter. During the rest of the sixties, Dann Penn went on to work with various songwriting partners. This included Rick Hall, Donnie Fritts, Quin Ivy, Marlin Greene and David Briggs. However, Dan Penn’s most successful songwriting partnership was with Chips Moman. This songwriting partnership began in 1966, at Chips Moman’s American Studios. The pair struck up what became a relatively prolific and successful songwriting partnership. They managed to write a lot of songs during what was a short-lived and incredibly intense songwriting partnership. Despite this, some of their songs were recorded by some of the biggest names in music; while other songs became timeless classics. This included James Carr’s Dark Side Of The Street and Aretha Franklin’s Do Right Woman. Others songs have been oft-covered. Among them are You Left The Water Running and I’m Your Puppet. These tracks have been covered by everyone from Barbara Lynn to Otis Redding and Irma Thomas. Sadly, the Dann Penn and Chips Moman didn’t enjoy the same longevity as other songwriting partnerships, and the pair went their separate ways. The Dan Penn and Chips Moman is one of the songwriting partnerships documented and celebrated in a recently released compilation. This is the Dan Penn compilation Close To Me-More Fame Recordings. It was recently released by Ace Records, and is the sequel to their 2014 release The Fame Recordings. 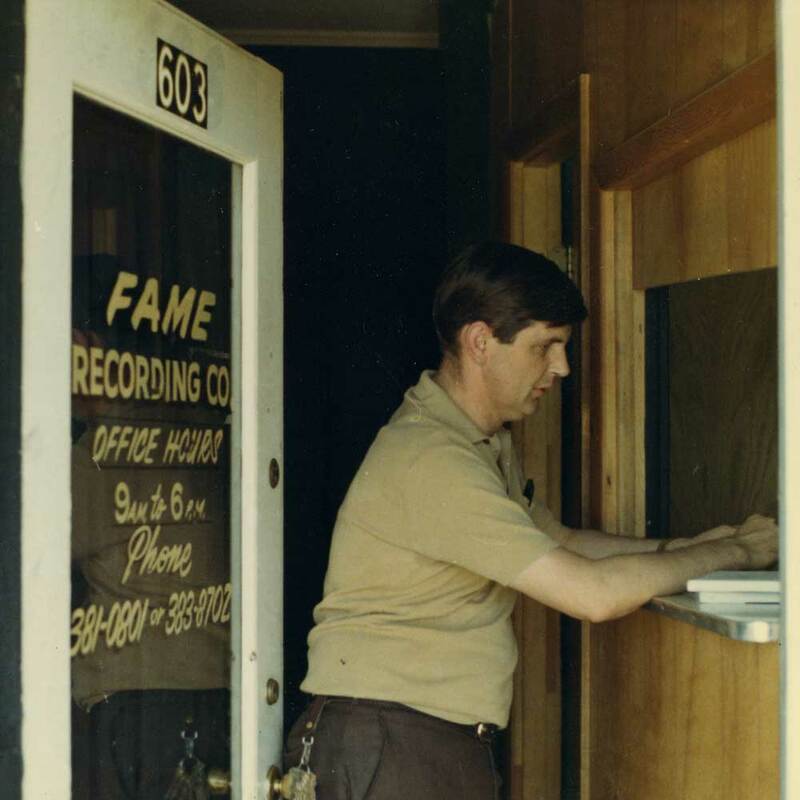 Just like The Fame Recordings, Close To-More Fame Recordings features twenty-four demos recorded by Dan Penn at Rick Hall’s Fame Studios. These are unlike most demos recorded during the sixties. Back then, most demos were spartan and understated affairs. Often, it was just singer accompanied by a lone piano or guitar. Publishing companies and songwriters didn’t want to spend more than they had to. After all, the raison d’être of a demo is to sell a song. However, that’s not the attitude Dan Penn took. 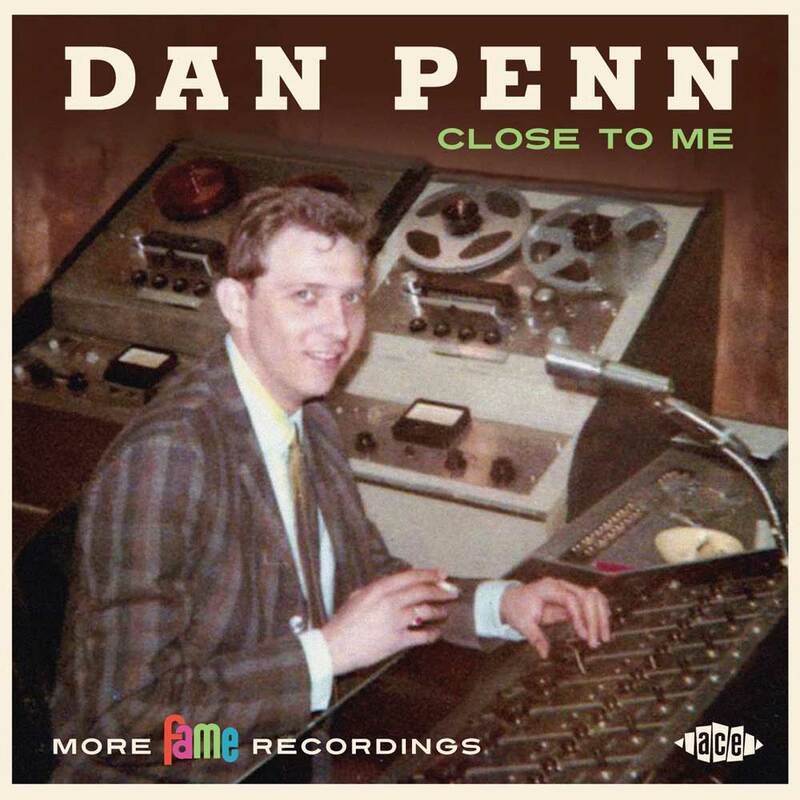 For the twenty-four songs on Close To Me-More Fame Recordings, Dan Penn was accompanied by the Memphis Shoals Rhythm Section. This included David Briggs, Junior Lowe, Roger Hawkins and Jimmy Johnson, to name but a few. They accompanied Dan Penn on songs he had written with Rick Hall, Donnie Fritts, Quin Ivy, Marlin Greene, David Briggs and Spooner Oldham. These songs were recorded between 1963 and 1966, and most have never been released before. That’s until now, and the release of Close To Me-More Fame Recordings, by Ace Records. By 1963, which is the start of the period that Close To Me-More Fame Recordings covers, Dan Penn was just twenty-two. Although he had penned his first hit when he was just nineteen, Dan Penn knew that he had much more to learn. So he continued to hang out at Fame Studios. Each day, he could sit there, and watch and learn. It was akin to a musical apprenticeship. Dan sat there, and watched producer Rick Hall at work. Then one day, Dan was in Fame Studios when Otis Redding was producing Sweet Soul Music. 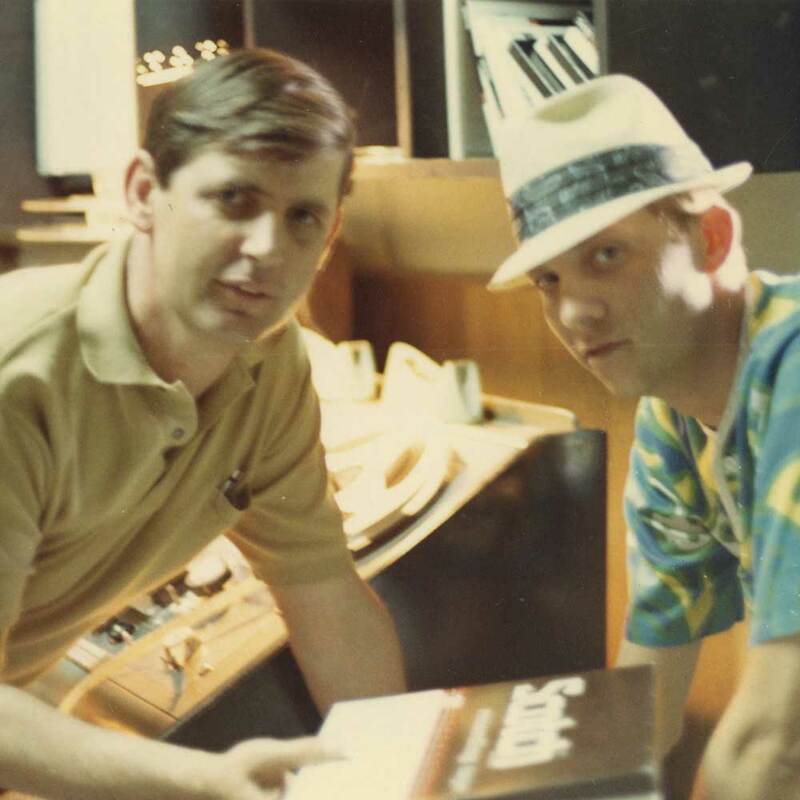 As Dan sat in the control room with Rick Hall and Otis Redding, they continued to press play. The three men realised history had been made. Sweet Soul Music had the potential to be a classic. That was the also night that Rick Hall asked Otis Redding asked if he could sing a demo of You Left The Water Running? This was a song Rick and Dan cowrote. Otis Redding agreed, as long as he liked You Left The Water Running. He did, with Dan adding backing vocals. This may have been the first demo Dan sang on, but it wouldn’t be the last. Between 1963 and 1966, Dan Penn was a prolific songwriter. 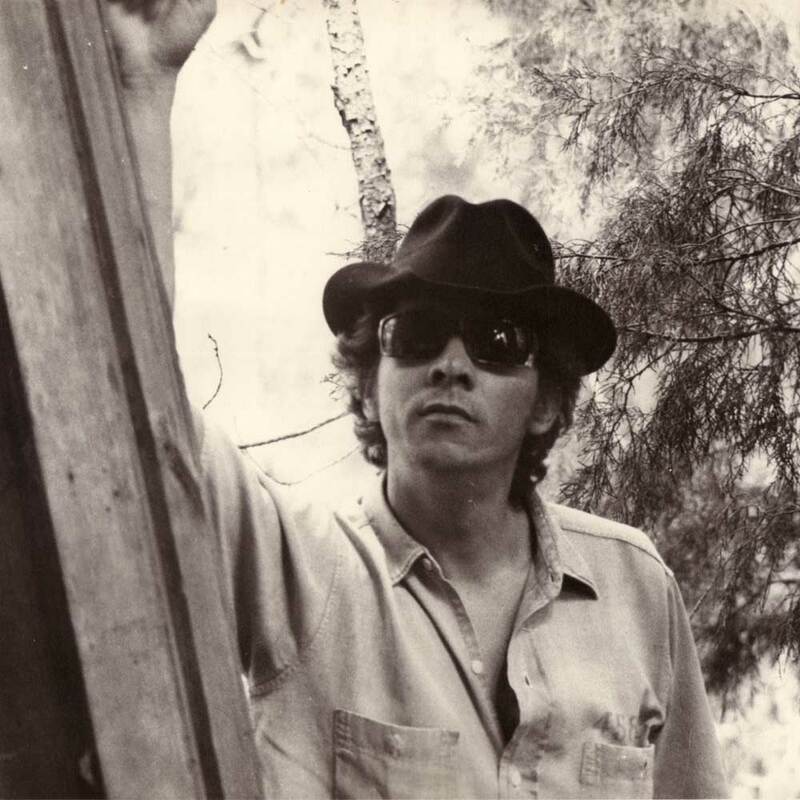 He cowrote songs with various songwriting partners, including Rick Hall, Donnie Fritts, Quin Ivy, Marlin Greene, David Briggs and Spooner Oldham. These demos were much more sophisticated than the demo of Otis Redding singing You Left The Water Running. Usually, the Muscle Shoals Rhythm Section accompanied Dan Penn. That was the case on Close To Me, the song that opens Close To Me-More Fame Recordings, and lends its name to the compilation. It was written by Dan, and features doo woo inspired vocals. They’re joined by the Muscle Shoals Rhythm Section as Dan delivers a soul-baring vocal on this beautiful, soulful ballad. Dan also wrote Live and Let Live, which is a emotional roller coaster that heads in the direction of Southern Soul. These tracks show that on his own, Dan Penn was a truly talented songwriter. However, for much of his career, he worked with a songwriting partner. Occasionally, this included Quin Ivy. Dan and Quin penned Without a Woman together. It’s a heart-wrenching ballad, where Dan embraces the role of Southern Soul man. Sadly, this is the only Dan Penn and Quin Ivy song on Close To Me-More Fame Recordings. It’s a similar case with the Dan Penn and Donnie Fritts songwriting partnership. Only Do You Need It features on Close To Me-More Fame Recordings. Although Do You Need It is a needy Southern Soul ballad, Dan vocal sometimes becomes a vamp. This showcases his versatility. This versatility is put to good use on two songs that Dan cowrote with another of his occasional songwriting partners, Marlin Greene. The pair penned Trash Man, another emotive ballad. Their other collaboration on Close To-More Fame Recordings is So Many Reasons, where Dan Penn sounds not unlike Sam Cooke. Indeed, So Many Reasons wouldn’t have sounded out of place on a Sam Cooke album. So good is So Many Reasons, it’s one of Dan’s finest moments on Close To Me-More Fame Recording. Another of Dans occasional songwriting partners was Marlin Greene. The pair penned Trash Man, another emotive ballad. Their other collaboration on Close To-More Fame Recordings is So Many Reasons, where Dan Penn sounds not unlike Sam Cooke. Indeed, So Many Reasons wouldn’t sound out of place on a Sam Cooke album. This is likely one of the lessons that Dan Penn learnt whilst under the tutelage of Rick Hall. They forged a successful songwriting partnership. One of their lesser known songs is Lovely Ladies. It’s a sassy stomper that’s very different to many of the other songs on Close To Me-More Fame Recordings. Rick Hall adds rasping horns and piano, as Dan struts and vamps his way through the lyrics. Dan’s version of Diamonds was the flip-side to Lonnie Ray’s Just As I Am, which was released on Fame in May 1965. Since then, Lovely Ladies has been hidden gem in Dan’s back-catalogue. One man who most likely played on Lovely Ladies, is drummer Roger Hawkins. He and Don Covay cowrote I Can’t Stop (The Feeling Won’t Let Me). It’s in a similar vain to some of the music being released on Stax between 1963 and 1966. Sam and Dave and Otis Redding are reference points. Dan’s vocal is double tracked, and sometimes, he heads into James Brown territory as he vamps. It’s another track that showcases Dan Penn’s talent and versatility. That’s the case on the thirteen tracks penned by Dan Penn and Spooner Oldham. They forged a successful and quite prolific songwriting partnership. The songs they wrote varied, and would’ve suited a variety of artists. Miss Personality was a vampish slice of Southern Soul, full of yelps and vamps. There’s more than a hint of James Brown in Dan’s delivery. Love Is a Wonderful Thing and Standing in the Way of a Good Thing sounds like the type of song Sam and Dave would’ve recorded. Both tracks find Spooner Oldham adding backing vocals, augmenting Dan’s lead vocal. That’s the case on Reaching Out For Someone, where Dan and Spooner prove a potent partnership. Some of the best songs from the pen of Dan Penn and Spooner Oldham are the ballads. This includes the heartfelt paeans I’ll Take Care Of You and Little Girl. Another of the heartfelt paeans is I Love Everything About You, which is reminiscent of Sam Cooke. She Ain’t Gonna Do Right and Downright Uptight Good Woman are both heart-wrenching Southern Soul ballads. Another slice of Souther Soul, is We’re Swinging, which features an impassioned, gravely and soulful vocal from Dan. You Really Know How To Hurt a Guy is another tale of heartbreak, where Dan wears his heart on his sleeve. He seems to come into is own on the ballads on Close To Me-More Fame Recordings. Destroyed sees the tempo rise, as Dan Penn accompanied by harmonies, heads in the direction of the dance-floor. This shows another side of Dan Penn and Spooner Oldham. That’s the case with I Dig A Big Town. Given the lyrics and the title, I Dig a Big Town sounds as if it was written towards the end of the period covered by Close To Me-More Fame Recordings. The arrangement has a much more underrated, contemporary sound, where Dan reinvents himself. This is something that so many soul singers, songwriters and producers failed to do. They never enjoyed the longevity that Dan Penn has enjoyed. Some six decades after his recording career began, seventy-five year old Dan Penn has lost none of his enthusiasm for music. The veteran singer, songwriter and producer inducted into the Alabama Music Hall of Fame in autumn 2013. That’s fitting, given how important a part Dan Penn has played in the state’s musical past. He’s one of the most successful songwriters Alabama has produced. Considering that Dan Penn originally wanted to be a singer, that’s quite ironic. While Dan Penn spent much of the sixties writing songs for other people, he didn’t release his first album studio album Nobody’s Fool in 1973. Do Right Man followed in 1974. However, a quarter of a century passed before Dan Penn released his third studio album. This was Blue Nite Lounge, which was released in 1999. Later that year, Dan released Moments From This Theatre a live recording which featured Dan Penn and Spooner Oldham. The old songwriting partnership was reunited, roll back the years. Nine years later, and Dan Penn released a new studio album, Junk Yard Junky in 2008. Since then, Ace Records have released two compilations of Dan Penn’s music, 2012s The Fame Recordings and the recently released Close To Me-More Fame Recordings. These two compilations feature a veritable feast of Dan Penn recordings from the sixties. Although they’re ostensibly demos, they’re a cut above the usual demos. Close To Me-More Fame Recordings features the Muscle Shoals Rhythm Section in full flight, on twenty-four tracks recorded between 1963 and 1966. During this period, Dan Penn was honing his skills as a singer and songwriter. He was already a talented singer and songwriter. Dan Penn was also versatile singer, who could seamlessly switch between heart-wrenching ballads and more uptempo tracks. For a singer who was only twenty-five in 1966, Dan Penn could’ve and should’ve enjoyed more success as a singer than he did. Instead, Dan Penn enjoyed more success as a songwriter. By the end of the sixties, Dan Penn had realised just how lucrative a business songwriting was. After this, Dan Penn’s career as a singer seemed to take a back seat. While he continued to record the occasional album, and play live, most record buyers remember Dan Penn for the classic songs he’s written. That’s still the case today. This is sure to change when they hear Close To Me-More Fame Recordings. Then they’ll realise that Dan Penn doesn’t just write songs, but sings them too. ← MOGWAI-SCOTLAND’S POST ROCK PIONEERS.